In America you almost never see two films targeting the same audience released wide on the same day, this is sort of an unwritten rule among studios to make sure films don’t directly compete with the same audience. In China, film releases are programmed by a state-owned organization who are not afraid of pitting two western Box Office titans up against each other in a single weekend. As a result, yesterday both The Amazing Spider-Man and The Dark Knight Rises hit Chinese cinemas, both playing to big numbers. While both films did big day one Chinese business there has to be a winner, and surprisingly Spider-Man pulled in about a million more for the day. While Spidey won the general box office, The Dark Knight Rises did do huge numbers as a 2D film and in IMAX . In fact both grosses represent a rather great opening day, suggesting that the direct competition might not have as big of an impact as you would generally think. 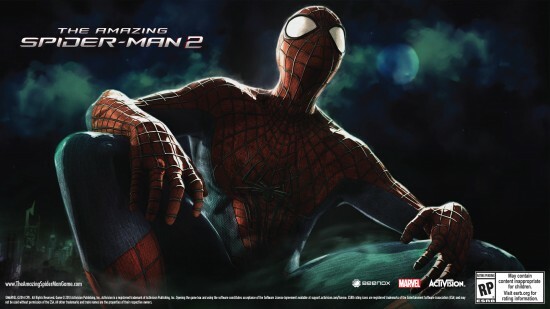 The big day pushed The Amazing Spider-Man to over $700 Million worldwide. The movie fell short of the Raimi trilogy’s lofty domestic numbers, but all told the Sony reboot is a tremendous success in a summer where it was overshadowed by two of the biggest comic book films of all time. Interesting international box office numbers, which is nice to see based on how much of a dud the domestic box office has been in the last few weeks. It is really hard to take a franchise away from what made it a success, especially when most people consider the lead actor the pivotal piece of the franchise. Yet that was the task of The Bourne Legacy, which was comfortable swapping lead actors, but not in giving that actor billing in the title. From the Box Office perspective the risk paid-off as the Damonless sequel managed a very respectable $40+ Million in its opening weekend. The Bourne Legacy actually preformed on par with the first two Bourne films, it fell way off the heights of the last film, but with all the factors playing against the movie that has to be considered a major win. Coming in third was, the also strong performing, The Campaign which pulled in $27 Million. The number looks small for a Will Ferrell summer comedy, but when you take into consideration the film is R-rated and it has a political subject matter, the film did really well. Most of the time R-rated comedies do not do Ted numbers, and political campaign films rarely make much money, so again context makes this weekend look like a win for the studio. In its third week of release The Dark Knight Rises once again trumps all competition to reign supreme in the Box Office battlefield. Honestly, I could have written that sentence two years ago it was such a forgone conclusion. Bringing in another $36 Million over the weekend, the final Nolan Batman film managed to ease a soft 41% after last week’s rather steep decline. The solid hold helps establish the film third on many of the all time box office speed records. Unfortunately for the movie, almost across the board it is third to the only two films people want to compare it to, The Avengers and The Dark Knight. It is possible that the movie can climb into the top seven or eight all time and still have a tiny shade of disappointment. Thus is the magic of context. You may have noticed that there was not a Box Office Report last week. Due to the tragedy in Aurora, Colorado the major studios made a choice to not announce any returns during the weekend, in tribute to the victims. A classy gesture that we at The Flickcast were all to willing to follow. In any event there was a rather large Box Office event that happened last weekend, so it bears some discussion this week. The Dark Knight Rises debuted to fantastic numbers that fell short of the lofty expectations of we the prognosticators. Still, it managed to break a couple of records and come out the end of a difficult weekend with $160+ Million dollars in the bank. Naturally people will compare this opening with that of The Avengers and The Dark Knight, and while it is in the same ball park of those two phenomenons, it failed to capture the cultural zeitgeist that propelled them to the next level. Take this weekend’s returns as an example. The Dark Knight Rises took in another strong $64+ Million to stand number one for a second weekend, however it dropped over 60% in business from its debut frame. A number that is actually solid for a front loaded comic-book film, but is a deeper percentage dip than The Avengers or The Dark Knight ever took at any point in their respective runs. Say what you will about Comic-Con becoming more commercial and getting away from its comic book roots, but other types of entertainment are going to be there this year (as they were in years past) and they don’t look to be going anywhere. It’s just a fact everyone needs to get used to. One of the things Comic-Con attendees need to get used to is the presence of video game companies at the event. To be perfectly honest, we love video games and have no problem with them being at Comic-Con — especially if they come from our friends at Activision. The company has announced a whole slew of events taking place during the Con and we’ve got all the info for you right here. So, to get you ready for all the action, read on for the official press release. And yes, we realize they don’t specifically mention Call of Duty: Black Ops II below but we love the game, so we put up the pic. Deal with it. After Batman: Arkham City last year (which was up for Game of the Year here on the Flickcast) set the bar so high for super hero video games, it took a special kind of hero to get us pumped for the next big thing in super hero gaming. And while the movie-tie in (another stigma this game was forced to overcome) doesn’t set new bars for comic book games, it does bring back some of the best things in Spider-Man gaming of the past ten years to give players the Spider-Man experience they have grown to love and crave. How many times can you swing through a digital New York as everyone’s favorite webslinger before it starts to get old? Last time we checked The Amazing Spider-Man was the fifth time a full virtual Manhattan was available to players to traverse over the course of a Spider-Man game and yet somehow Beenox has managed to find a way to not only keep it engaging but also has added elements to make it even more exciting. In The Amazing Spider–Man, there is an element of speed in the way that Spider-Man travels from one location to the other both in the visual design choices and in the addition of the “Web Rush” feature.